The LM5050-1/-Q1 High Side OR-ing FET Controller operates in conjunction with an external MOSFET as an ideal diode rectifier when connected in series with a power source. This ORing controller allows MOSFETs to replace diode rectifiers in power distribution networks thus reducing both power loss and voltage drops. The LM5050-1/-Q1 controller provides charge pump gate drive for an external N-Channel MOSFET and a fast response comparator to turn off the FET when current flows in the reverse direction. 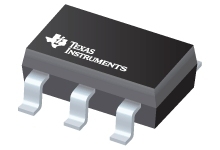 The LM5050-1/-Q1 can connect power supplies ranging from 5 V to 75 V and can withstand transients up to 100 V.